A 32-litre technical mountaineering backpack designed to offer a close carry, good freedom of movement and keep your back dry. The Apex Wall is a technical mountaineering pack designed for full days with dawn starts, steep approaches, and strenuous technical ascents and descents. Carrying a pack causes the body to sweat as it works to lower its temperature. This can leave you with your back and shoulders soaked with perspiration and at risk of overcooling. 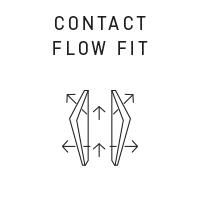 The Apex Wall with its Contact Flow Fit carrying system solves this problem. It lowers temperature at the central back and limits sweating thanks to its reduced contact area and also has a built-in micro-ventilation system with 3D air channels that lets greater airflow get to the back. 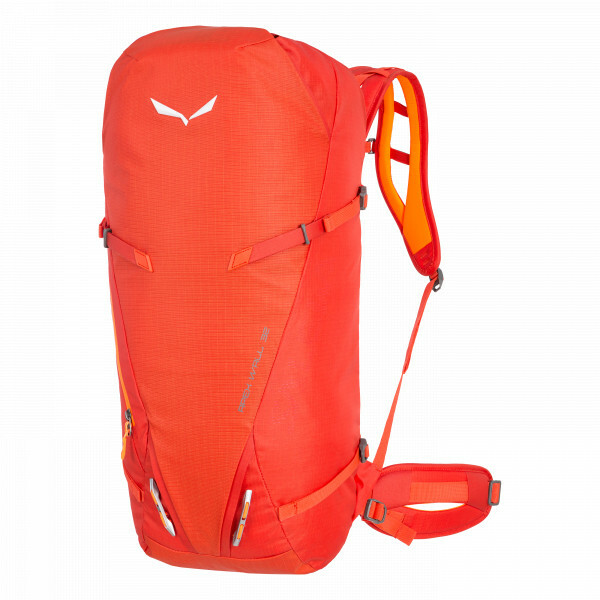 Furthermore, the Apex Wall features smart solutions that make it the go-to mountaineering pack. Made from robust ROBIC®, a special, high-tenacity nylon that is 60% more tear-resistant than conventional nylon pack fabrics, it can withstand just about everything from rocks to crampons and ice tools. For functional simplicity, the magnetic buckle system makes it possible to attach a rope single-handed. The roll top system allows easy volume adjustment to stabilize and center the load. And the proven split shoulder strap system allows greater arm mobility, including with overhead moves.